Majarin is a ghost town. It seems to be abandoned and many buildings are missing the roof. All except one that is run by an interesting character. His name is Tomas, and he is a self proclaimed latter day Templar Knight. Tomas seen her looking out for pilgrims. 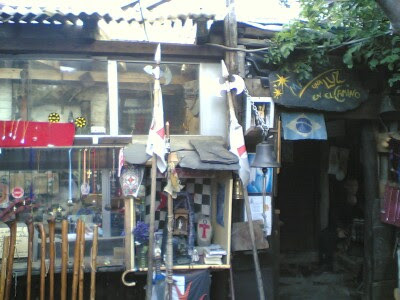 He (or his assistant) will ring the bell everytime a pilgrim is sighted. Fascinating items crafted by Tomas. There was a port of coffee and some biscuits on the table, donativo (donation base). It was just a plain coffee but after walking the whole morning in the cold through the desolated landscape, it tasted wonderful. 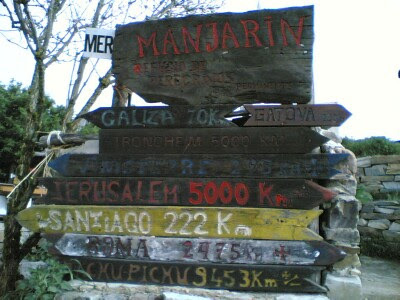 Signboards with distances. Another 222 km to Santiago. 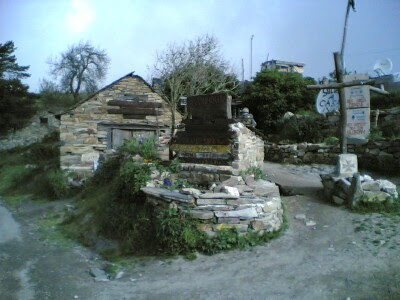 Tomas runs a refugio. There is no electricity or running water here. 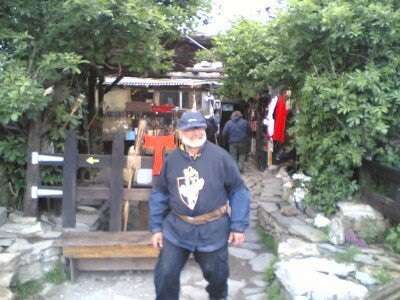 Hygiene aside, I can really imagine staying here for the night would be quite an experience, especially at this attitude in the mountain (easily over a 1000 meters).